Fruchter was referring to the only fatality in the attack, 58-year-old federation employee Pam Waechter. On Tuesday, a jury found Haq guilty of first-degree murder for killing Waechter. It was the second trial for Haq, 34, who had pleaded not guilty by reason of insanity. The first trial, in spring 2008, ended in a mistrial after two weeks of deliberation. This time the jury was able to reach a verdict after just 2 1/2 days of deliberation, bringing the nearly nine-week trial to a close. Haq will receive an automatic life term in prison. The state decided early on not to seek the death penalty. As King County Superior Court Judge Paris Kallas read the jury’s decision to a packed courtroom Tuesday morning, the surviving victims of the shooting and their friends, family and co-workers reacted with hugs and tears. Haq’s demeanor did not change throughout the reading of the verdict. Senior deputy prosecutor Don Raz said he believes the key to the guilty verdict in the second trial was largely due to the admission of new evidence: Tapes from a series of phone conversations Haq had from jail with his mother and other family members shortly after his arrest. In the recordings, Haq’s mother is heard telling her son that he is sick, and it is because of his illness that he committed the attack. Haq repeatedly denies the assertion, saying he feels fine and that he is proud of what he did. “I think the difference this time was certainly having the jailhouse conversations [included],” Raz said. “Jurors indicated they were very significant” in helping them reach a decision. Carol Goldman, a survivor of the attack who attended much of the trial, concurred. Prosecutors did not introduce the recordings at Haq’s first trial because they didn’t think the tapes would have any relevance, Ian Goodhew, deputy chief of staff for King County Prosecutor Dan Satterberg, told the Seattle Times. The prosecution throughout the second trial had acknowledged that Haq suffered from mental illness. Symptoms appeared mostly in the form of paranoia and paranoid delusions, Raz said. “It’s why he lost all his jobs,” the prosecutor said. “No one ever asserted that paranoia had anything to do with his attack on the Jewish federation,” Raz said. Juror John Bennett said the defense was simply unable to convince him and his fellow jurors of Haq’s insanity at the time of the shooting. “We were waiting with an open mind — waiting for someone to tell us that he was not sane. But there was just never anything to convince us,” he said. Still, Bennett said, the guilty verdict was not a decision the jurors came to lightly. In addition to the charge of first-degree murder for the killing of Waechter, the jury also found Haq guilty of the seven other charges brought against him, including five counts of attempted first-degree murder and one count each of unlawful imprisonment and malicious harassment. The prosecution had simplified the case against Haq from 15 counts in his initial trial. “It’s nice to finally be able to move on and put this chapter to bed,” she said. Shooting victim Cheryl Stumbo agreed. Stumbo sustained a gunshot to the abdomen that still affects her today. She had been in the hospital having a pump installed in the wound to drain excess fluid when she received the call that a verdict was forthcoming. Stumbo told reporters that she had been experiencing complications from a hysterectomy performed in April to remove the bullet. “We’re hoping by Christmas this will be resolved,” she said. Both Goldman and Stumbo invoked the memory of Waechter. “I don’t know what Pam would have wished for, but she got the justice she deserved,” Stumbo said. What was never in dispute in both trials was that Haq entered the Jewish Federation of Greater Seattle on July 28, 2006 and shot six women, killing one. 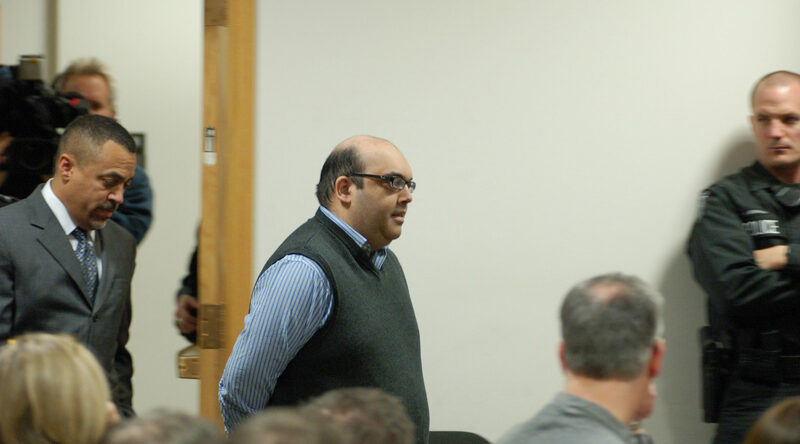 Haq took steps to plan the attack prior to July 28, including filling out paperwork and allowing for the three-day waiting to purchase firearms, conducting Internet research to decide on his target, obtaining maps and directions to the Jewish Federation and lying to his parents about his reasons for driving from his home in Pasco, Wash., a city more than 200 miles from Seattle. Defense attorney Christopher Swaby attributed Haq’s mental decline prior to the shooting both to mismanagement of his medication and a change in his insurance coverage that no longer allowed him to see counselors as often as he should.